WOW! Let's end the month of July with a BANG! Tonight is a great night for giveaways, there are 4 amazing giveaways ending tonight, so don't forget to enter them all! The clothes that you wear can set your entire mood. When you're pregnant, you don't want your clothes to make you feel frumpy - you want to feel beautiful. Am I right? If you're looking for stylish and trendy maternity clothes, you're going to love BellaBlu Maternity! They have an enormous selection of stylish and comfortable maternity clothes - dresses, pants, pajamas, tops, swimwear and even bras! Their goal is to give all of their pregnant friends out there the opportunity to look their best during this exciting time in their lives! 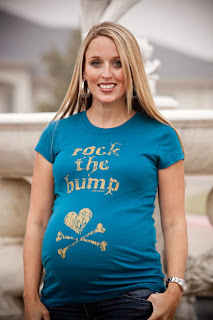 One of my favorite items is their Rock the Bump maternity top! This cute and comfortable form-fitting tee hugs your "baby bump" so you can show it off! It is super soft and made of 98% pre-shrunk cotton for extra comfort that feels great against your skin. This great maternity top is available in several different colors and is sure to be a favorite with any expecting mommy! BellaBlu Maternity takes things one step further and also carries a great selection of diaper bags, baby bedding, baby clothes and cloth diapers, jewelry and accessories and so much more. BellaBlu Maternity has been in business for just over 7 years now and is now considered to be the #1 privately owned online maternity store. The two areas they focus on the most are the quality of their products and customer service. Trust me, you're going to fall in love with Bella Blu Maternity and their stylish maternity clothes! 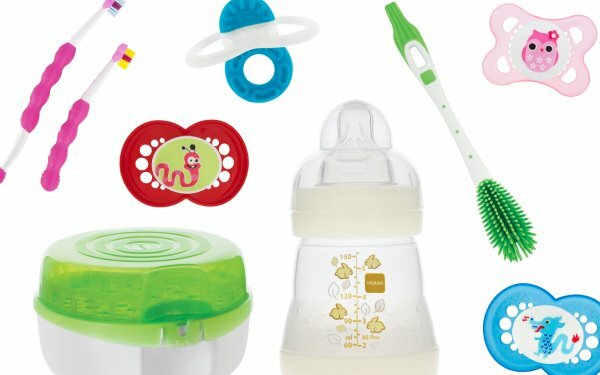 Baby bottles, pacifiers and teething rings... OH MY! Knowing which ones (and which brand) to purchase can be over-whelming because there are so many choices! MAM sent me a wonderful assortment of baby feeding and oral care products and teethers, the baby must haves! MAM has been providing high-quality baby products to parents for 30 years! They are a well-known, trusted brand and I am confident in using them with my children. Mam baby products are adorable, durable and 100% BPA free, making them safe for babies of all ages. From birth and up, MAM has the essentials. From baby bottles and sippy cups to pacifiers, teethers and toothbrushes. 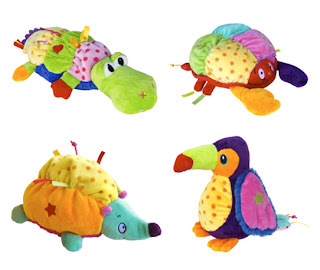 I love the bright colors and bold designs - they capture your attention and that of your baby! They are made with babies in mind, giving parents peace of mind - which is essential with any baby product. 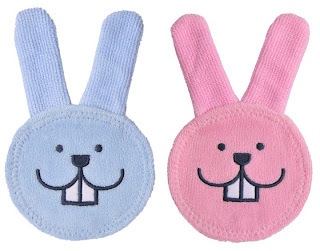 One of my favorite MAM products is the adorable oral care rabbit! 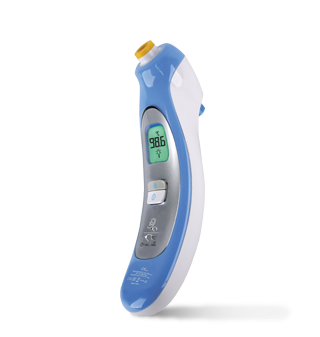 It is perfect for soothing baby's gums or cleaning their first tooth. "Behind each MAM innovation is a perfect combination of medical and technical expertise. Internationally recognized designers, medical professionals and developmental psychologists collaborate to develop safe and innovative baby products. For this reason, MAM's mission is to provide babies with an optimal start in life and cool, easy style for their parents!" Looking for ways to save on MAM baby products? Visit the MAM Facebook page to print a $2 off ANY MAM product coupon. Mondays are always my least favorite day of the week because it means the fun weekend has come to an end. One great thing about today is that I get to share more great reviews and giveaways with my wonderful readers. Don't forget to enter the great giveaways that will be ending tonight and check out the others for more chances to win! Who doesn't love holding and carrying their little bundle of joy around, but even the smallest baby can get heavy after a long period of time. Plus, parents and caregivers need to have the freedom to move about without an infant in their arms as well. That's when a baby carrier becomes the perfect helper! The new Ergobaby Bundle of Joy Baby Carrier is designed for parents who wish to comfortably bond with their babies and toddlers without missing a beat. 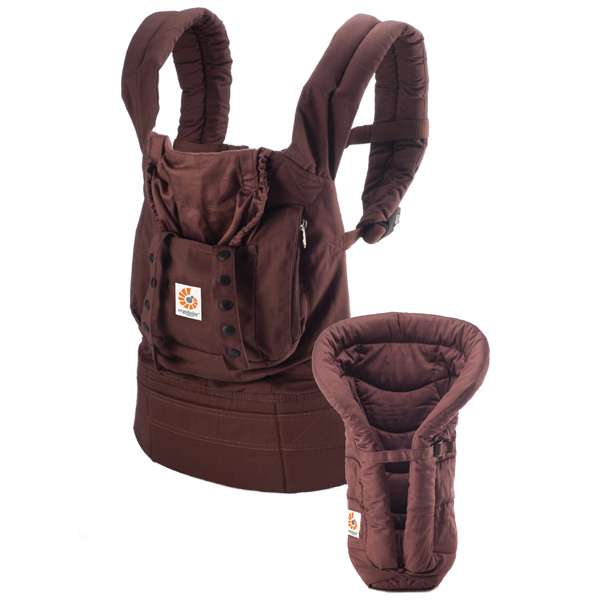 These functional baby carriers combine one of the Ergobaby originals with a matched infant insert, making the perfect package for new parents – whether for you or as a gift, it's the right choice. Why? Because it grows with you baby - so you only have to buy one baby carrier! 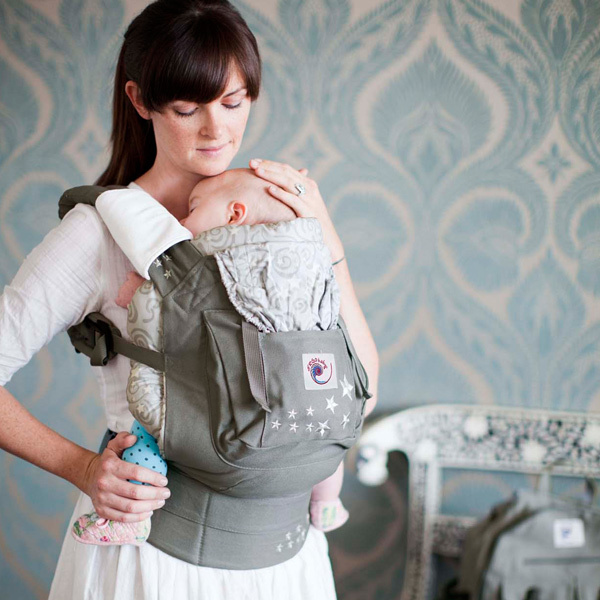 This functional baby carrier allows you to carry infants weighing as little as 7 lbs. all the way up to toddlers weighing as much as 45 lbs. This carrier will carry your little 'bundle of joy' around for months! The thing I love most about this baby carrier is that it's so soft and comfortable to wear. It snuggles your baby close, perfect for soothing a fuzzy baby, bonding at home or while on-the-go! 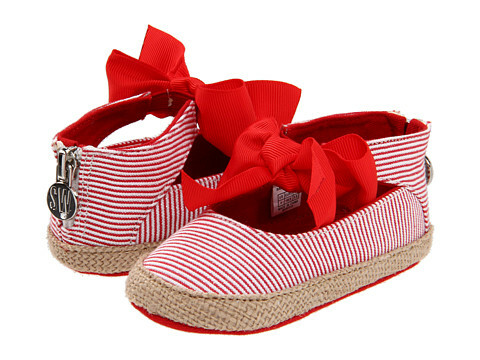 It's perfect for trips to the park, the mall or a walk to town. All together in one, The Bundle of Joy pack includes an ultra comfortable Ergobaby Carrier with a matched Infant Insert, and can be used from the first day you bring your newborn home all the way up to 45 lbs., making it the only carrier you'll ever need. Made of 100% cotton, the original Bundle of Joy Ergobaby carrier and infant insert are sturdily crafted - so you can carry your baby with confidence. The Ergobaby Bundle of Joy comes in 4 delightful colors so there is one to fit your style! One week ago, I opened a new door in my life and began my weight loss journey with Nutrisystem! I will admit that when I started the program, I was both nervous and excited! I'm thrilled to say that it wasn't nearly as difficult as I thought it was going to be. In fact, it wasn't difficult at all! The food is absolutely delicious, all of it! I start each day off with a healthy breakfast item and a protein shake. Then I get a morning snack, lunch, afternoon snack, dinner and dessert - every single day! The most difficult part of the program for me so far has been drinking SO much water! 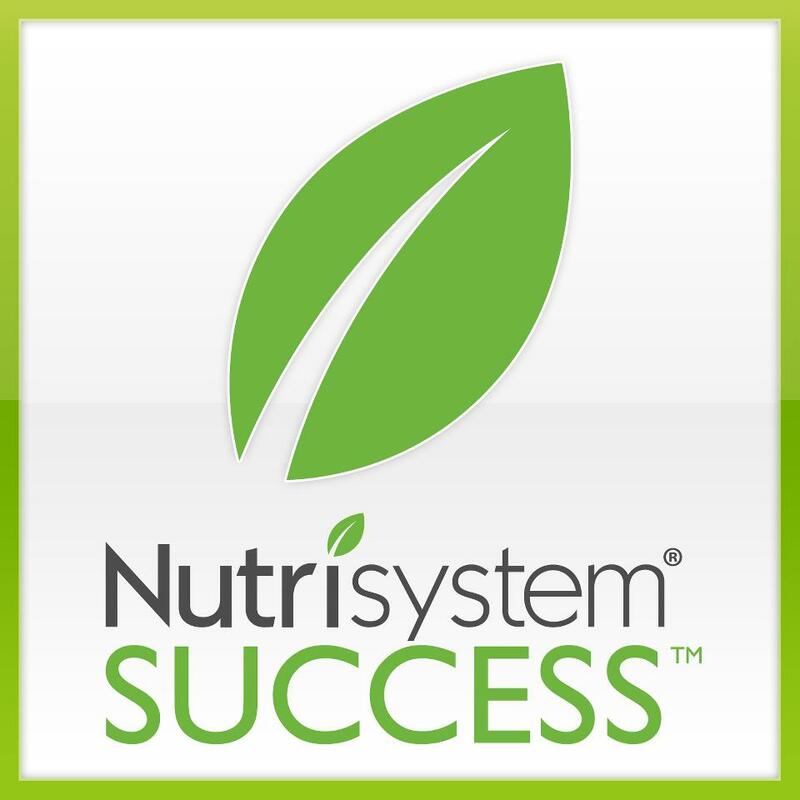 I love water, but before beginning the program, I rarely drank more than 1 or 2 glasses a day. Now, I am drinking a minimum of 8 glasses of water daily. I took before photo (from the front and side), my measurements and a photo of the number on the scale. I'm not happy with any of those numbers, but I'm excited to see just how much I change over the next 4 months. I'm looking forward to seeing the numbers and the changes at the end! I can't even begin to guess how many times I've been holding a baby or toddler and had them grab onto my jewelry and give them a tug. Having them pull on your earrings is very painful, but when they tug on your necklaces, there is a good possibility that they are going to break. 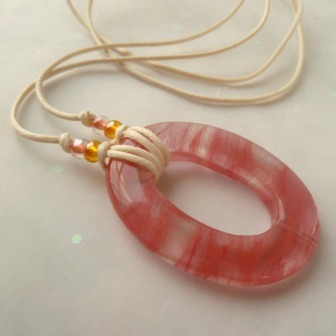 Mommy necklaces can be worn by anyone, but they are especially useful for mothers of infants and young children who like to hold or grab onto things when being held. Mommy necklaces are stylish and trendy, making them the perfect accessory to any outfit - whether you're going to the beach or out to dinner! Holly & Sage's Etsy Shop create their own unique boho-style handmade artisan jewelry, recycled vintage button jewelry and earth mama organic mommy nursing necklaces. 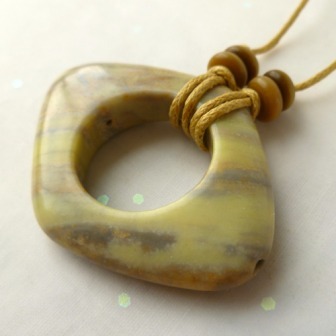 Their beautifully handcrafted mommy necklaces are designed to be stronger than most necklaces, so that tugging and yanking won't break them easily! The beads are glass or gemstones, not plastic, which makes them durable as well as beautiful!! As I sit here and hold my beautiful mommy necklace, it's very clear that a lot of love went into making it. Whenever their are children involved, love is the main ingredient. Every mom should have one of these necklaces! If you're looking for a special and unique gift for a new or expecting mommy, one of these handmade mommy necklaces would make the perfect gift! Sadly, the weekend is almost over. That means back to work and a busy week of things to get done. Check out these two great baby giveaways ending tonight - be sure to enter for your chance to win! 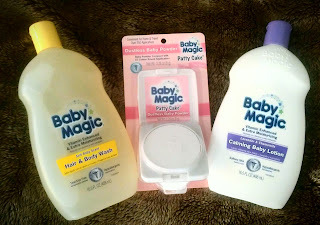 As you prepare for the work week, be sure to enter my great baby giveaways! We all know that when children are being "too quiet" it's time to go check on them! What if I told you that there was a way to keep an eye on your child, as well as an ear. Parents joke about putting bells on their children, but what about squeakers? Squeaker Sneakers baby shoes SQUEAK with every single step! The first time I saw a toddler wearing a pair or squeaky shoes, I just laughed. They were the cutest and funniest baby shoes I had ever seen. What a fun and unique way to make walking fun! Make learning to walk FUN! Very comfortable - like "walking on air"
It's obvious that these squeaky shoes are absolutely adorable, but they are also very durable. 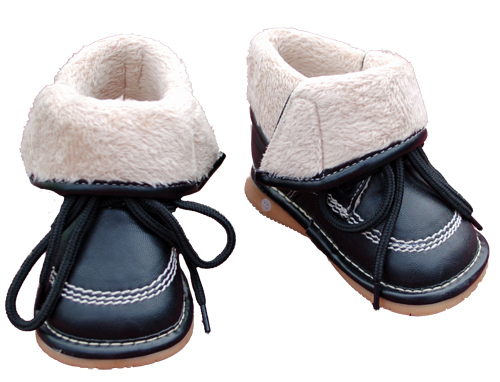 They are made for comfort and made to last, they "stand up" to the busy activity of your little one. Whether you have a boy or a girl, Squeaker Sneakers carries an adorable collection of leather and canvas squeaky baby shoes, boots and sandals for babies and toddlers. You're going to love them so much that you're going to need more than one pair. NOTE: Squeakers can be easily removed when silence is needed. Squeaker Sneakers is generously offering my readers a 25% off coupon good on all regular priced merchandise when you use the code FRUGAL at checkout! Over the past few months I've been browsing through a variety of Etsy shops. As I look through all of their wonderful handmade creations, I'm amazed and wish that I had half of their talent. 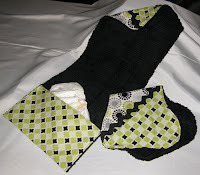 Jolene's Creations is an Etsy Shop that has lovely handmade baby items. 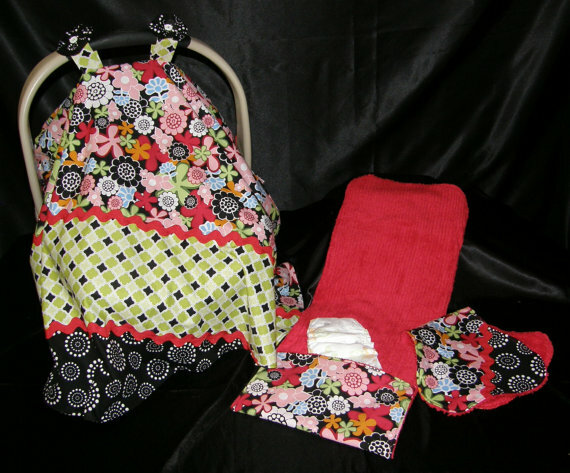 Car seat covers, receiving blankets, burp cloths, changing pads, and nursing covers. You can choose to purchase the items individually or in a set. I chose the grey and paisley polka dot car seat cover. I love how the different fabrics and patterns create a unique baby accessory. The car seat canopy keeps your baby protected from wind, rain, cold, heat, germs, also provides a privacy barrier from well meaning admirers when baby wants to sleep! Made from 100% cotton and chenille, they wash up nicely and will last a very long time. It is clear by the quality of these items that a lot of time, hard work and love went into each one of them. These unique handmade baby items make the perfect gift for any baby shower or expecting parents. 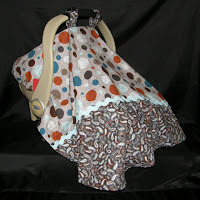 Of course, if you love Jolene's Creations as much as I do - you're going to want them for your baby too! 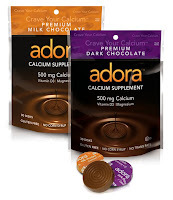 Since I think all of my readers are super sweet, I'm going to announce two "sweet" giveaway winners! It's time to tell you who won two of the most delicious giveaways; Cake Pops from Cake Pop My Heart and New Baby Chocolates from The Madelaine Chocolate Company! Giving your newborn baby a bath for the very first time is a very special occasion. It's a moment that you will remember forever, I love looking at photos from my baby's first bath. There are several baby bath products on the market, but finding your favorite will be an easy task. You'll want one that smells good, cleans gently, and leaves your baby's skin soft and smooth without irritation. 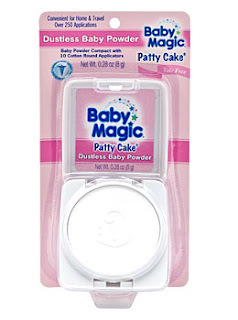 Baby Magic has been a trusted brand with moms since the 1950's, that's as long as my parents have been around. I wonder if my grandparents used Baby Magic products? There are three baby bath products that I simply couldn't live without when my children were babies. All of which played a very important roll in everyday bedtime and bath time routines. 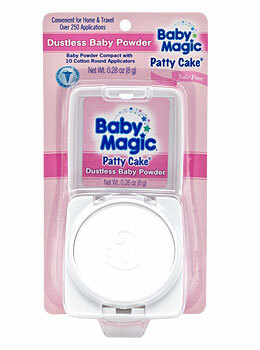 Baby Magic's new dustless, mess free baby powder is one-of-a-kind! Super absorbent, moisturizing, easy to use, and totally portable! The convenient compact is small enough to fit in your purse. Baby powder will no longer shoot everywhere , what a relief! Baby Magic baby wash doubles as a body wash and a baby shampoo, making it perfect for head to toe coverage. 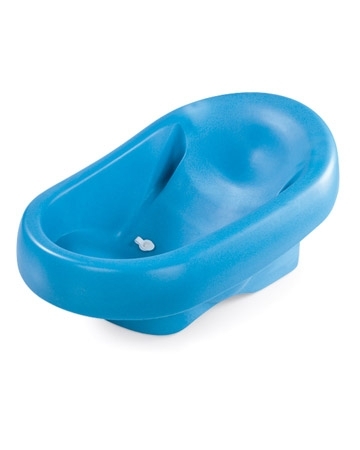 It is tear -free, so you don't have to worry if it accidently runs into your little ones eyes. It leaves baby's hair and skin clean and soft - plus it smells good too! Baby Magic baby lotion is absolutely amazing. Rubbing it onto your baby's skin soothes them, while leaving their skin super soft and protected from dryness. Not only is it great for baby's skin - it's great for older children and adults as well. The smell is simply heavenly, I love it. 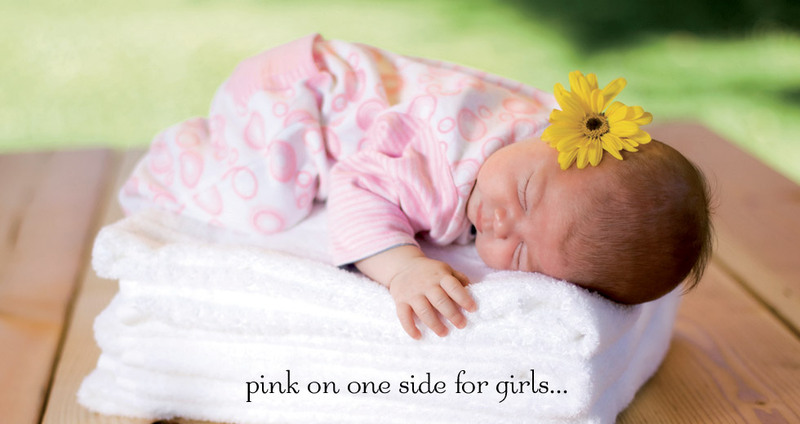 Did you know that 40% of expectant parents don't learn the gender of their baby until they are born? Baby clothes are one my my favorite gifts to purchase whenever I attend a baby shower. However, choosing an adorable outfit can be difficult when you don't know the gender of the baby. Don't let baby end up with a wardrobe full of yellow and green clothing - give the gift of gender neutral reversible baby clothing! Twotara has redefined the newborn gender neutral market by introducing an adorable line of reversible baby clothing and accessories. 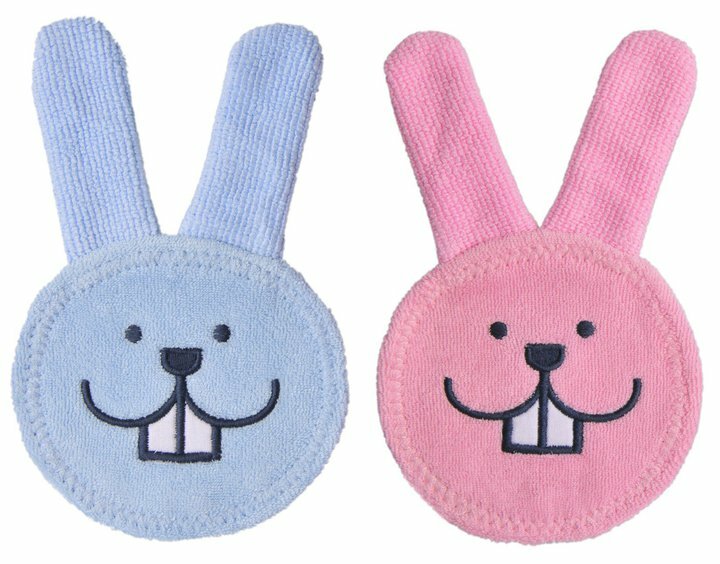 They are PINK on one side for precious little girls and BLUE on the other for handsome little boys, so they always make the perfect baby gift. Other than the fact that they are simply adorable, the first thing I noticed was how soft their baby clothes and newborn hats were. Everything is 100% cotton so they are perfect for baby's sensitive skin and machine washable to make mom's life a little bit easier. Boy or girl, pink or blue - Twotara is the perfect baby gift that keeps on giving... moms will be able to use this outfit for future children as well, no matter what their gender. Making them the perfect hand-me-down item as well. I love the soft pink and blue colors, and the adorable patterns. In all honestly, these are the cutest baby clothes that I've seen in a very long time! TGIF! My parents are in town for the weekend, so we're going to be very busy. My kids love it when Ma and Pa come to visit. Although I think my parents might enjoy it even more! Check out the baby giveaways that will be ending tonight! I love the smell of babies! It's important to make sure to use gentle baby products to help protect baby's sensitive skin. Baby lotion, baby shampoo, and diaper rash ointment are some of the most important. Knowing that they aren't going to irritate baby's skin is always a top priority. Aquaphor Baby healing ointment restores smooth, healthy skin and is clinically proven to reduce diaper rash within 6 hours. Its mild, fragrance-free and preservative-free formula is safe for external use anywhere on your baby's delicate, sensitive skin. Aquaphor Baby Gentle Wash & Shampoo is a soap-free formula that gently cleanses, and helps prevent the drying effects of cleansing, to protect your baby's delicate skin. It is also fragrance-free, tear-free and gentle. The moisture-rich lather rinses off easily, leaving your baby's skin free of residue. 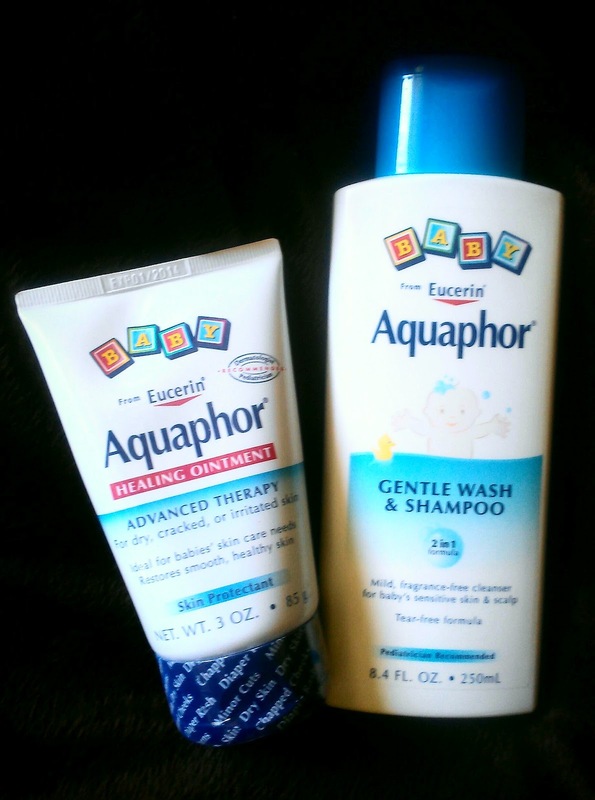 Aquaphor is an amazing line of baby products from Eucerin. I love that they are gentle and have a nice, subtle scent. I'll also admit that I love using the Aquaphor healing ointment on my legs and feet. It leaves them soft, smooth and silky! Eucerin provides gentle, effective skin care that dermatologists trust. With a full line of clinically proven products for cleansing, moisturizing, healing and protection, you’re sure to find products that are just right for you and your entire family. Ice cream is one of my favorite summertime treats! I was recently given the opportunity of hosting a ‘High Tea Mommy Party,’ in celebration of National Ice Cream Month. In order to make our tea party complete, we were sent some amazing party supplies. Fancy headband hats, a beautiful tea set, Cadbury Ice Cream Bars (and coupons)to share with our party guests. 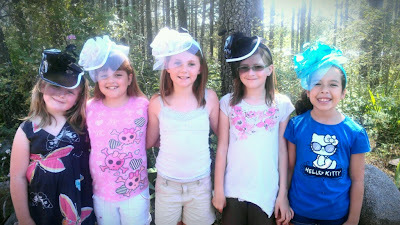 You can see by the smiles on the girl's faces... they loved their fancy party hats! 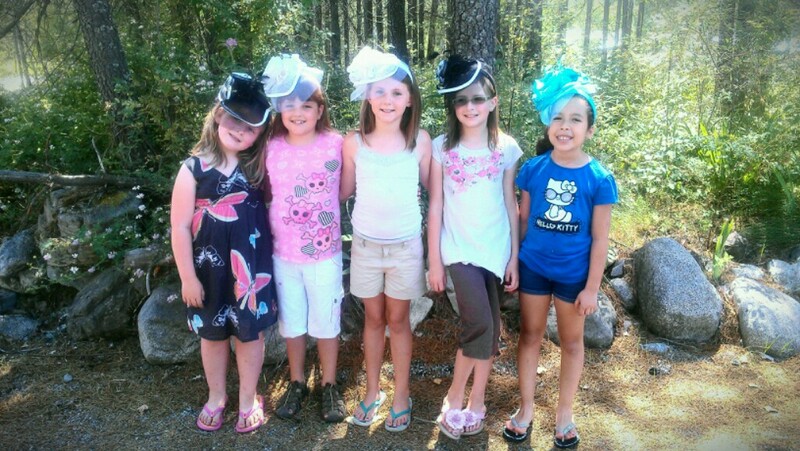 They were even talking about they should all wear them to school on the same day, so cute! The tea party was a huge success and the Blue Bunny’s new Cadbury Ice Cream Bars are DELICIOUS! They come in 4 heavenly varieties - although I think the chocolate almond were my favorite. 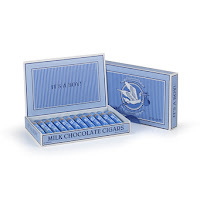 Cadbury™ Chocolate Almond: Creamy Blue Bunny vanilla ice cream dipped in thick, rich Cadbury milk chocolaty coating with almond pieces. Moms are the queens of multi-tasking, and they also love products that have more than one purpose. Products with multiple uses not only save us time, they also save us money - both of which are equally valuable. Meet the newest nursing pillow with the unique shape and two-sided, Firm2Soft design. The firm side gives essential support for mommy and her nursing baby. The soft side is extra cozy, which provides an inviting place for lounging or tummy time. In addition, mombo™ offers a unique vibration feature to give baby extra soothing while relaxing. 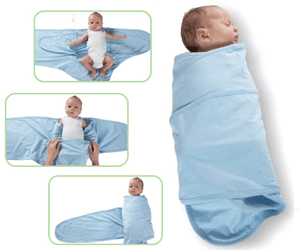 mombo™ from Comfort & Harmony™, is one of those must-have baby items because its reversible and has multiple uses! Whether you're feeding your little one, have them on their tummy for floor time, or napping - mombo™ does it all! mombo™ is also easy to clean, as it has a removable slip cover. Plus, you can purchase additional decorative slip covers so you'll always have an extra while one is in the wash. I love that they come in a variety of fun, colorful baby friendly patterns and have a soothing vibration to help calm and comfort baby. Every parent should receive the gift of a mombo™ (or two). It's that time again - time to announce more giveaway winners! Tonight, the two winners share a name (although they are different spellings), which I think it kinda neat! If your name begins with an S... you could be a winner! 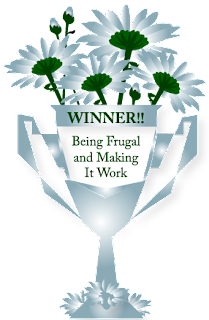 It's time to tell you who won Artic Zero Frozen Treats and Lamaze Baby Toys giveaways. If you're looking for baby shower gifts or items for your own baby, then the next few weeks of giveaways are going to make you very happy! Be sure to check out all the great baby giveaways listed in the sidebar! It's time to announce another lucky winner, look who won the Bummas Eco-Friendly Cloth Baby Wipes giveaway. Up until this month, I had no idea that so many baby items are made using bamboo. Everything from clothing and bedding to baby wipes and diaper rash ointment. Bamboobino is a unique, award-winning leader in bamboo children's clothing, bed and bath, and accessories! towels and accessories made from super-soft, rayon from bamboo. Why choose textiles made from rayon from bamboo? It's more absorbent than cotton. 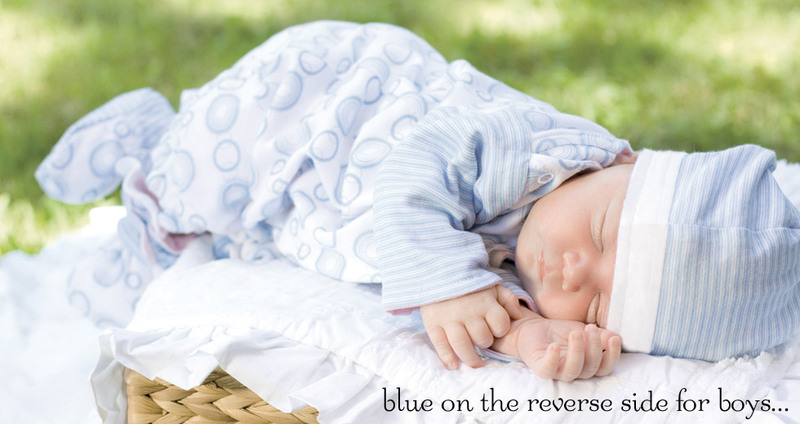 Its cashmere-like softness is great for babies. It comfortably wicks moisture away from skin. It's hypoallergenic - suitable for newborn's sensitive skin. It's easy to care for - all our baby clothes can be machine washed and tumble dried. I received a bamboo fitted crib sheet and I must confess that it is by far the softest crib sheet I have ever touched. The quality is simply amazing, thick, soft, and super comfortable for a peaceful night's sleep. And lets face it, you can never have too many crib sheets, they constantly need changing due to bedtime and nap time accidents. Don't need crib sheets? Don't worry! 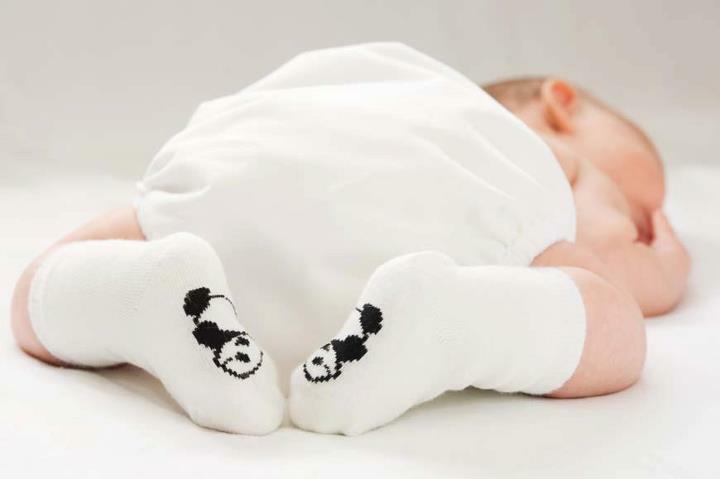 Bamboobino has a lovely selection of bamboo baby items that I'm sure you'll love to add to your baby's collection. Gift baskets, baby washcloths, hooded towels, baby socks, swaddle blankets and so much more! If you have ever tried to help a baby learn how to walk, you know that it's a very big milestone for both the baby and the parents! You will also know how it can be a back-breaking activity, all that walking while bending over as baby takes each step. If you feel my pain (and excitement), then you're going to love the Juppy Baby Walker! Where has this amazing baby item been hiding all these years? Just think of how many parents are going to be jealous that they never had one when their children were learning to walk! What is the Juppy Baby Walker? 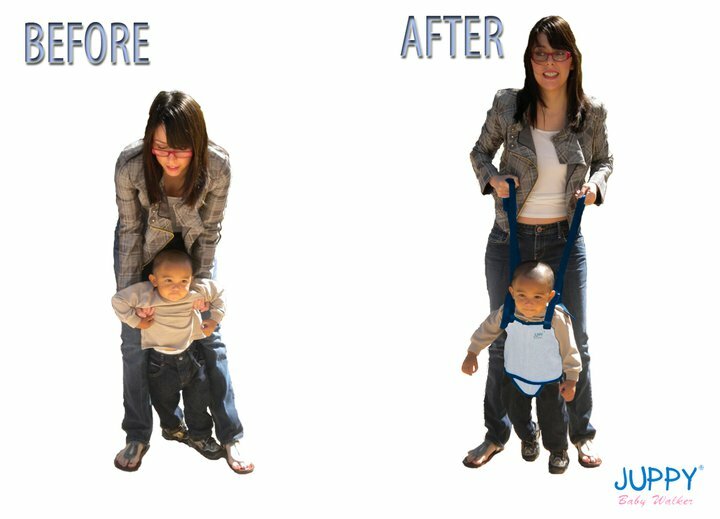 The Juppy Baby Walker is a one size fits all baby walker that will help you safely teach your baby to walk sooner! It's made of 100% cotton and machine washable. There is no assembly required and it's small enough to fit in your purse. Making it perfect to use anytime, anywhere! The Juppy Baby Walker will teach your baby balance and build confidence while never having to worry about accidents or injuries that are often associated with traditional baby walkers. The Juppy will also save you from having to bend over while teaching your baby to walk. When you teach your baby to walk with the Juppy you stand upright! 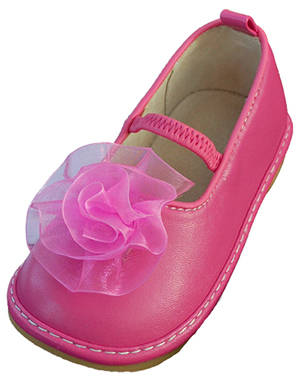 The Juppy is available in colors pink, blue and black! The Juppy is suited for babies of all sizes! The Juppy is made from 100% cotton and is easy to clean! 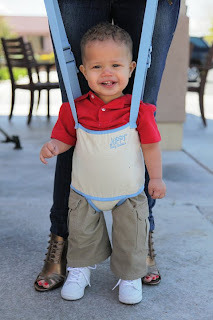 The Juppy adjusts for the best fit for all parents, short or tall! If you have a dog, then you're going to love this great contest! The first ever GUND “Top Dog” Contest is in progress with a grand prize of “the Boo treatment” - a limited edition GUND plush in the winning pup’s likeness! The Grand Prize will have tails wagging; GUND will create a limited edition model of the winner’s dog. The dog will be available in gift and toy stores in 2013. That’s right! Your adorable pup could become a GUND plush just like Boo! 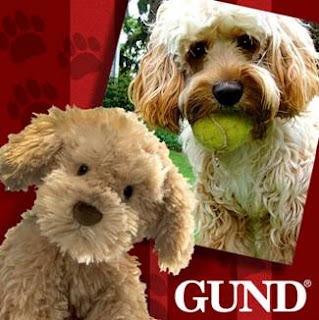 Your can submit your favorite dog photos via the contest tab on GUND’s Facebook page. The contest will run July 16 - August 15, 2012; winners will be chosen the week of August 20th and announced the week of August 27th. Giveaway Winner Announcements: Maylee's Boutique $50 Gift Card & Diaper Diabbler Disposable Diapers! I've been having a great time sharing a great variety of baby giveaways with all of you. I also love announcing winners and hearing your reactions! I'm happy to announce two baby giveaway winners, it's time to tell you who won the Maylee's Boutique $50 Gift Card & Diaper Dabbler Disposable Diapers giveaways. Not only does today mean that the week is already half over, today is also my mom's birthday! What better way to celebrate than with two giveaways fir for birthday gift giving... Cake Pops and Chocolate! Be sure to check them out and enter for your chance to win some sweet treats! Let the Stork Deliver a Shower Stack to Your Next Baby Shower! If you're thinking of getting a baby shower gift, why not think "inside the box?" Deliver a unique gift that will delight any mommy-to-be, a baby shower gift like no other... send a Shower Stack! Shower Stacks are shipped out on-demand, and their loving storks fly out the same day you purchase! They also have monthly stacks that change each month, also a great gift idea! Stacks start at $28 a month and shipping is always free! Give a mom the greatest gift of all: more time with her little ones. Stork Stack delivers surprise treats to Mom’s doorstep (or yours so that you can deliver the gift yourself), and makes the perfect gift for baby showers, holidays, or just to say you care.